Breaking Celebration: Bulldog Blvd. Protected Lanes Just Funded! Here’s something that should put a smile on your face: the Bulldog Boulevard project will be going through. The Regional Planning Committee just voted tonight to fund the project. 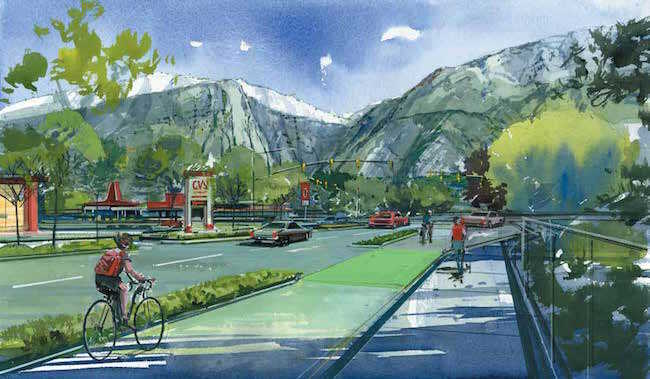 One of the most exciting aspects of the project is the protected bicycle lanes – the first in Provo! These lanes should help reduce the high number of bicycle / car collisions that are frequent through this corridor. Funding is officially slated for 2019. However, it is possible that the project may begin sooner. Big thanks to the Regional Planning Committee, county commissioners, mayors, and (especially) our local engineering and planning professionals for their dedication on this visionary project. This entry was posted in Provo Bicycle Plan, Provo Bicycle Projects by Jamie. Bookmark the permalink. This is ridiculous. Yes, protected bike lanes should be a necessity on all roads. But to decrease the size of the road? Horrible idea. 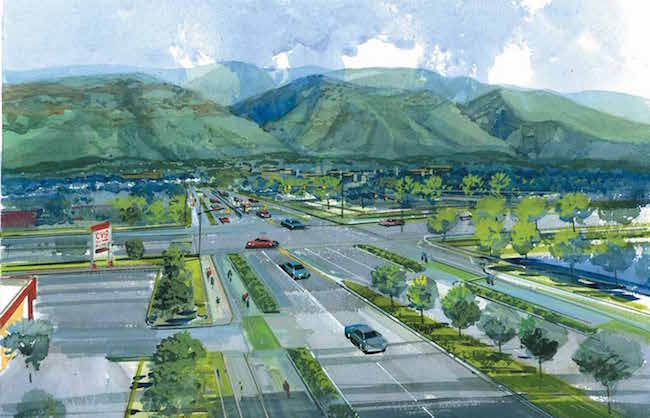 Provo is only getting bigger. By making the only 3 lane cross street in town smaller? This will only hurt Provo. You have the improved hospital under construction, an expanding BYU Campus and all of the other residential and commercial growth, we will not be able to keep up with the growth. Where was the chance for residence to vote on this? Not so happy with Provo City right now.